I have always been someone who doesn’t mind suffering for the sake of fashion. I have no problem standing in a gorgeous uncomfortable shoe or donning a cool itchy sweater. While that is still true for me as a Mom, I have taken a much more practical approach when it comes to dressing my baby boy. I want him to be comfortable and warm at all times. I found a few fashion essentials that accomplish both and are still adorable. 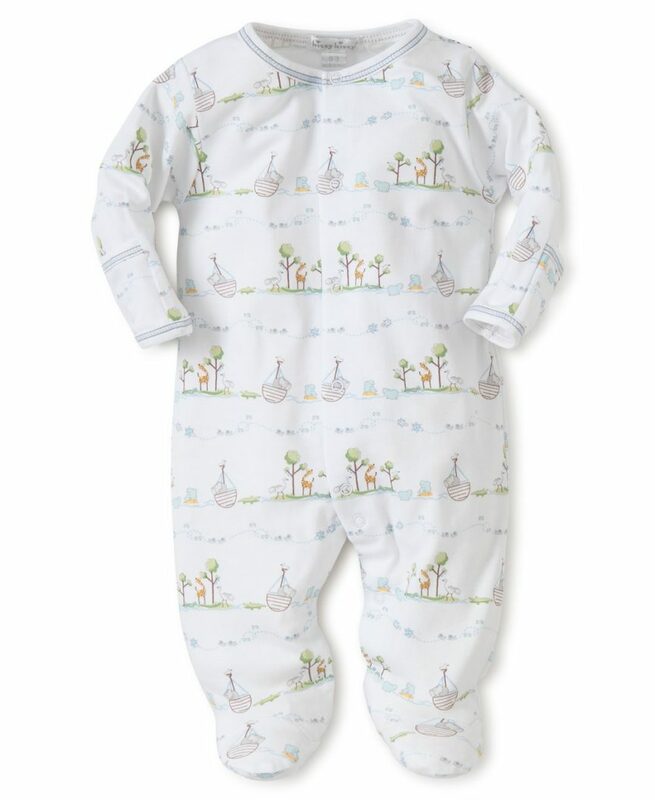 KISSY KISSY |This line is perfect for sleeping, playing and lounging. Their snap front onesies are the cutest and eliminates the struggle of getting clothes over the head. I particularly like their footies and convertible gowns for everyday wear. 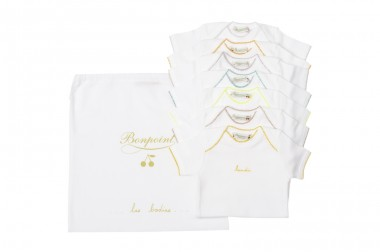 The prints are fun and the soft pima cotton is cozy and easy to wash.
BONPOINT BODYSUITS | This line is on the pricier side but I believe their bodysuits are the best. They are luxe and easy to put on. I layered the long sleeve ecru ones under everything to get us through the Chicago winter. They come in packs of 3 but if you are going to use them daily, splurge on the 7 pack. They are embroidered in French with the days of the week. TRUMPETTE SOCKS | What better time in your life to wear whimsical socks than when you are a wee one? 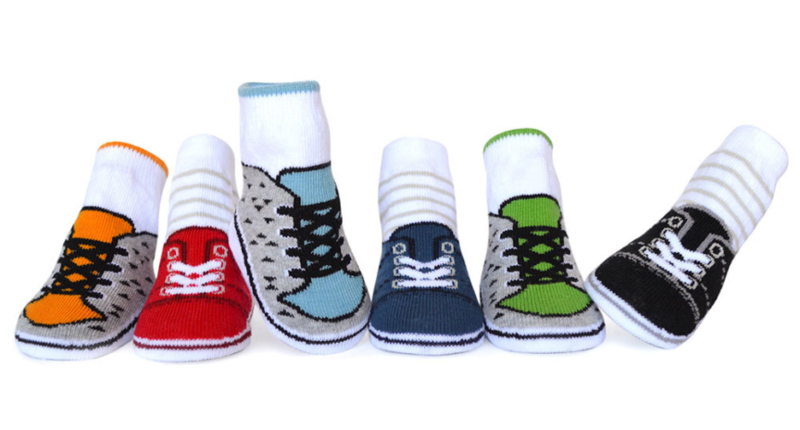 The Trumpette socks come in a 6 pack with varying themes that are super cute and practical. Perfect for around the house and going out when you just can’t manage a proper shoe! 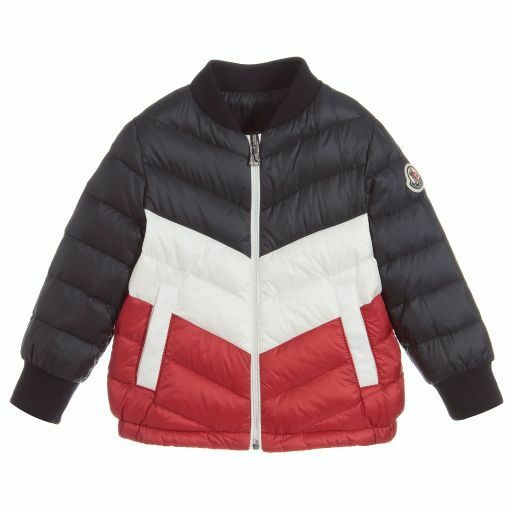 MONCLER JACKET | Moncler makes the best outerwear for babies! 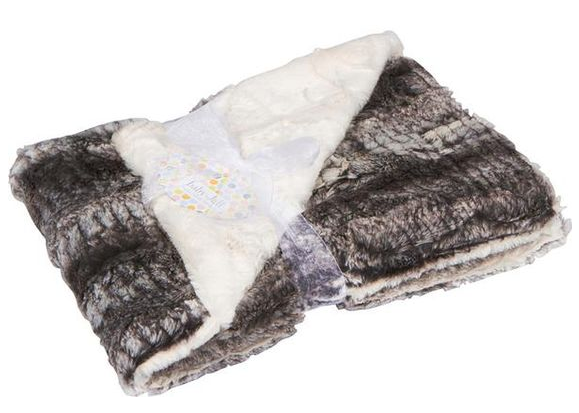 Soft down makes their jackets snuggly warm while attention to detail makes them stylish. Bonus: the jackets are not bulky so there’s no trouble getting your baby in and out of the carseat. 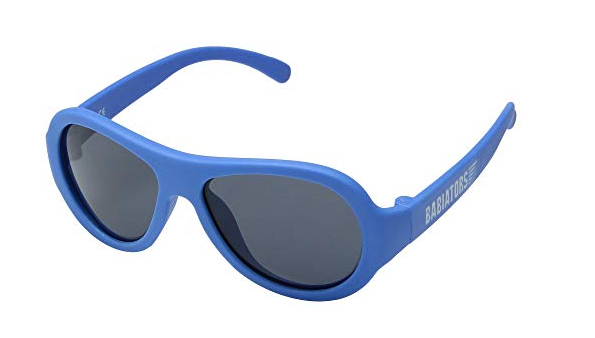 BABIATORS SUNGLASSES | These are great for taking your little one out on the town! They offer 100% UV protection, are durable, and look cool. Perfect for a stroll and a nap! 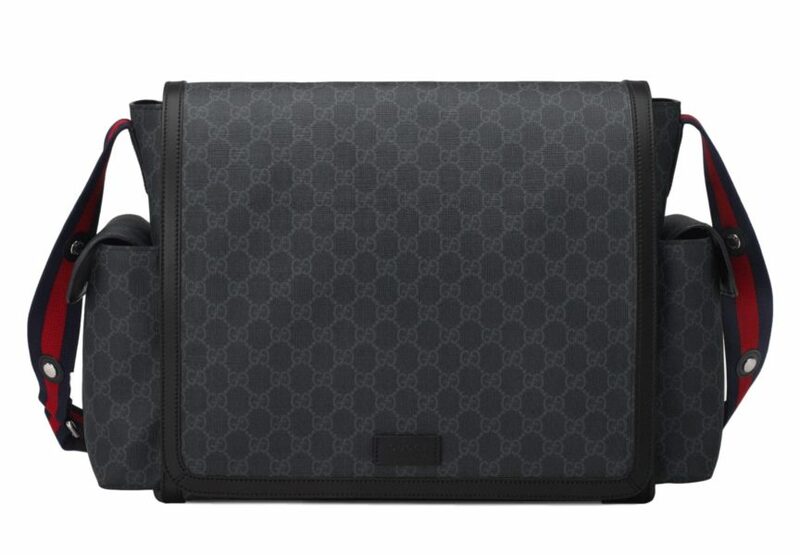 GUCCI GG SUPREME DIAPER BAG | Okay, this one is more for me! But it is worth the splurge! It looks amazing and goes with everything including my husband! (He has no problem carrying it!) It is also very practical. I find the messenger style to be the easiest to use with a baby carrier and carseat. The side, back and interior pockets are ideal for storing the excessive amount of “things” that come with me and the baby these days. BABY JaR | This blanket is one of the best baby gifts I received! It is unique, luxurious and goes with everything. It has kept my baby warm and fashionable all winter. We get so many compliments! STELL MCCARTNEY KIDS | Stella always seems to get it right! I love her baby clothes as much as her women’s RTW. 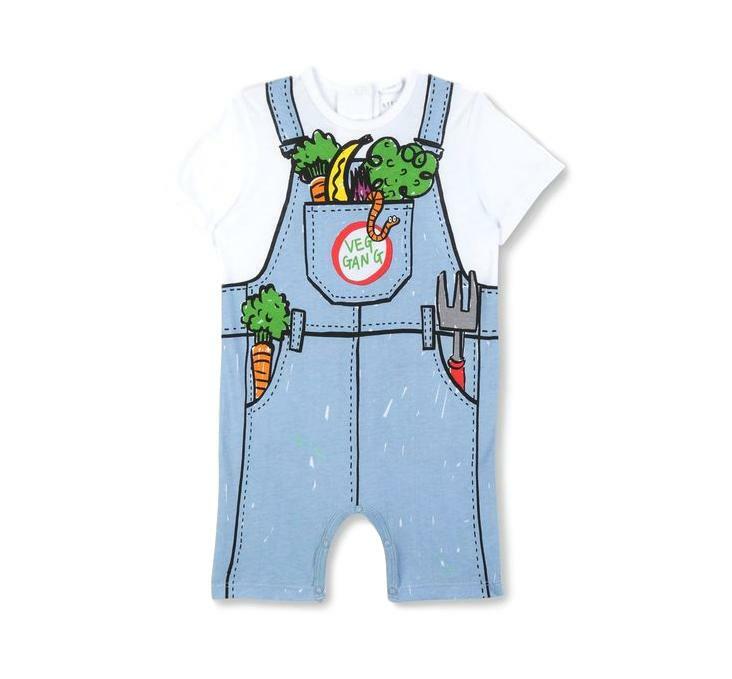 This Veg Gang jumpsuit is the right vibe for me and my baby. Definitely on my wish list for Spring!